No one can truly predict when they will need appliances service in Sun Valley, California. Your appliance might be working fine one day and then break down the next. The most important thing you can do is take good care of your appliances and keep our number close at hand in case the service need arises. Our certified technicians are experienced and highly-skilled at servicing all kinds of residential appliances. You can request same day service on stoves, fridges, freezers and dishwashers. We will respond just as quickly to fix washers and dryers. Our goal is to administer fast and effective appliance repair in Sun Valley. At Best Choice Appliance Repair Sun Valley, we still take our honor seriously. We run our business with integrity. Our technicians will always be friendly and treat you and your appliances with the respect deserved. Honesty is the only policy in our book. You will never find hidden charges in our invoice and we will not try to sell you parts and service you don’t need. We believe we build long-term loyalty by treating our customers the way we would expect to be treated. This commitment drives us to administer the most effective home appliance service each and every day. When your appliance breaks down you want a service provider that is prepared to provide same day service. 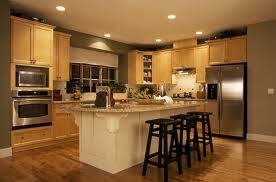 That is exactly what you can expect from Sun Valley Best Choice Appliance Repair. We will not put you off for several days before we can come out and resolve the problem. We respond the same day to do what it takes to get your residential appliance up and running again. Our certified team of professionals has years of experience troubleshooting problems with laundry and kitchen appliances. You can enjoy peace of mind knowing we will quickly administer cost-effective solutions for your appliance repair needs. Choosing the right Sun Valley appliance repair team is a decision that should not be taken lightly. You need a company this is serious about providing good old-fashioned customer service. Choose us for all of your Sun Valley appliances service requirements.